If you start an internet earch for “hiking trails in Hawaii,” you can expect to be bombarded with hundreds of posts about some of the most beautiful summits or vistas in the islands. But, if you look close enough, you may also notice something else: words like “illegal” or “off-limits” attached to some of these trails. You would think this would keep many adventure-seekers away, but many hikers Still, many hikers continue to trek these trails, despite locked gates, security guards, and several “no trespassing” signs to deter them. 1. Illegal Hikes Can Be Dangerous: Illegal hiking trails are notoriously dangerous (a fatality in June of 2013 was one of the many reasons the state closed the Mariner’s Ridge Trail). Dedicated professionals are in charge of assessing hiking trail safey, and if they say the trail is too dangerous, you should believe them. Instead of trusting the word of someone who posts on social media, check-in with the Hawaii Department of Landand Natural Resources’ website, Na Ala Hele to learn more about the hiking trails in Hawaii. Too many hikers on a trail can lead to erosion, which can be destructive to the environment. 3. It’s…Well…Illegal: I suppose, for some illegal hikers, the idea of hiking an illegal trail is enticing. But, the glamour fades quickly when they learn that trespassing in Hawaii can carry a $2,500 fine. Trespassing is against the law. Period. And, police can give you a ticket and fine you if you’re caught. The good news? 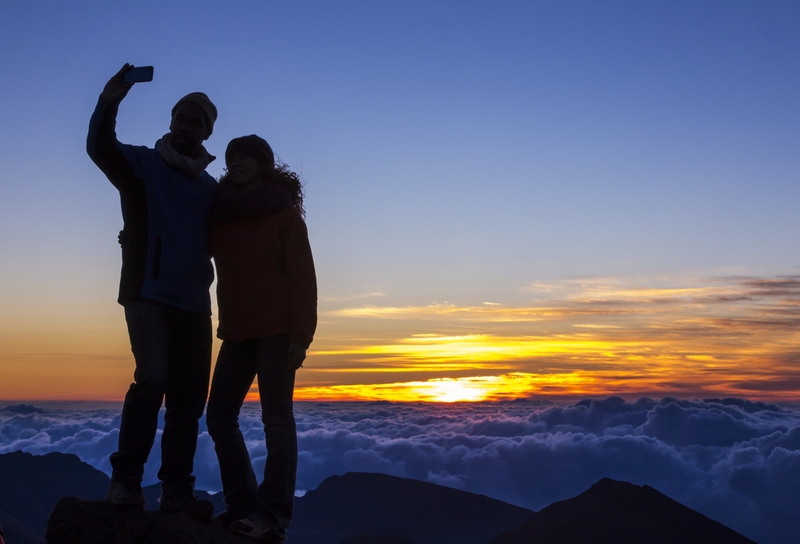 There are lots of amazing hikes in Hawaii that are LEGAL, such as the hike leading to the summit of Haleakala on Maui. 4. Respect the Aina: Here in Hawaii, we’re taught to respect the aina (land), and that goes for hikers, too. Although most hikers take precautions to maintain the islands’ hiking trails, too many hikers in one area can make-way for erosion, which can make the trail unsafe. Add damaging weather to the equation, and a once-safe hiking trail can become damaged to the point of no-repair. 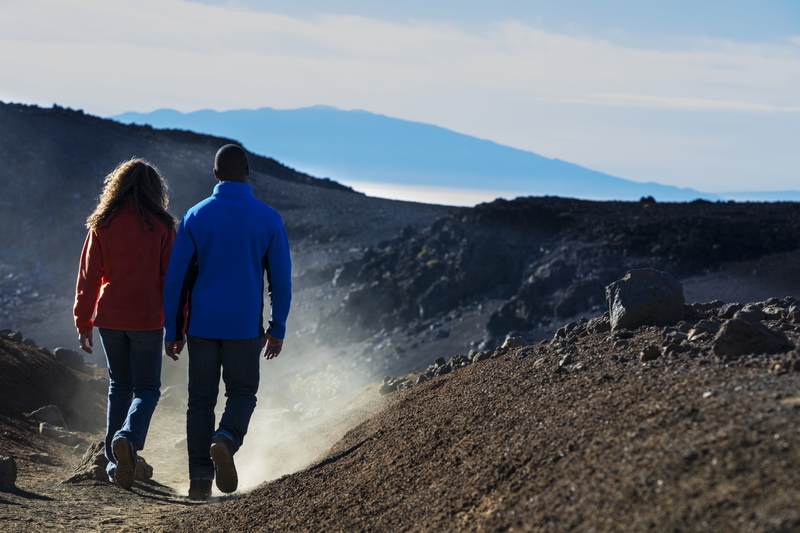 By booking a hiking tour with a reputable company like Hawaii Aloha Travel, you can avoid trails that pose safety hazards, and you can also be assured your hike is fully legal. 5. Stranded Hikers = $: When hikers trespass on private property and get in trouble, it can cost thousands of taxpayer dollars to retrieve them. Of course, stranded hikers are hardly limited to illegal trails, but some hikers are less likely to call for help if they’re trespassing. And, that means a delay in getting help, which could lead to even more injury or illness. If you choose to trespass and hike a trail illegally, consider the police, fire, and rescue operations that may be needed if you should get into trouble. These operations are costly and time-consuming. If you’re reading this blog, you must be one smart cookie! Which means you know better than to be tempted into hiking an illegal trail just because someone posts a picture on the internet. So, here’s our gentle reminder: don’t hike illegal hiking trails in Hawaii. It’s not worth it.